HIGHLY FRAGRANCED Candles Made Using The Highest Concentration Of The Richest Fragrance Oils. THIS 3-WICK CANDLE BURNS Approximately 25 - 45 Hours And Measures 4" Wide x 3 1/2" Tall. 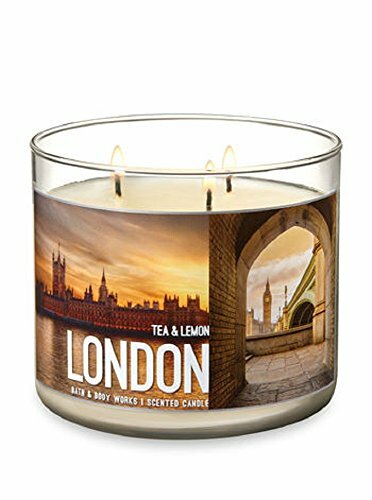 YOU WILL RECEIVE: 1 - London Tea & Lemon Bath & Body Works 3-Wick Scented Glass Candle with decorative lid in your purchase.